Stef called it the miracle of wikiloops it truly is I never recorded blues prior to wikiloops now I love it thanx for all the great support, priceless!! The bluesman of wikiloops. You make us surprising always. I love your sound making so much. Anyway you are well to play the guitar. I am proud to played with you on many songs. This album is just part of you. I am looking forward to your new sound. I've done a few jams with Tom and his slide guitar. I love the authenticity of the sound he gets from his guitar playing. For a blues singer, is a joy to have so much space to play in. And with the brilliant assembly of musicians contributing on this album, is clear I am not the only one who enjoys the jam. Congratulations Tom on a fine album! Great story Frenz. And an incredible album. Your selection of tracks is always a "Hit the bulls eye!". Just great and you play a very good guitar with an awesome sound, everytimes ! Thanks Tom!!! 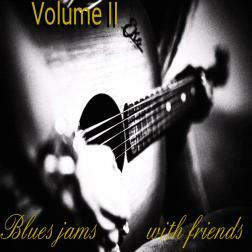 Really great selection of blues tracks,Big thrill to play on it. I always enjoy it when you put out a new blues track and I am honored to be on this. When Stef calls it a miracle of wikiloops you can take that to the bank. We all benefit from the fact the blues found you and vice versa!